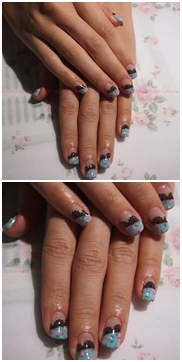 This lady wanted to try my floral set but yet didnt want pink thus she chose 1 of de pastel blue I had. Always felt this blue looks like the Tiffany & Co. colour. Reminds me of the lil blue-green box.